Magnify any surface in close-up detail and save images to micro SD card! Supersight™ is a compact digital magnifier that is easy to position and simple to use. There are countless situations where you have to see and study minute details with greater precision than you could ever see by eye: small print, handwriting analysis, art/currency authentication, fingerprint assessment and many others. A traditional magnifying lens has very limited magnification power (typically less than 3x), it can't record an image to a permanent record and can be cumbersome to use. 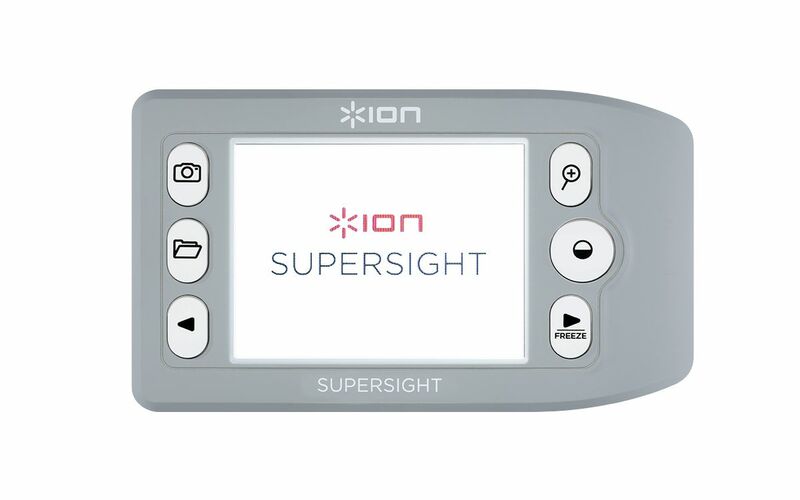 Supersight is the ideal solution. It digitally magnifies the subject up to 10x from a distance of just 1 inch (25mm) away. Details stand out with incredible clarity on its 3.5-inch VGA display. Store the digital pictures to the removable micro SD card and easily transfer them to another device. Supersight lets you photograph and archive any subject in close-up detail.